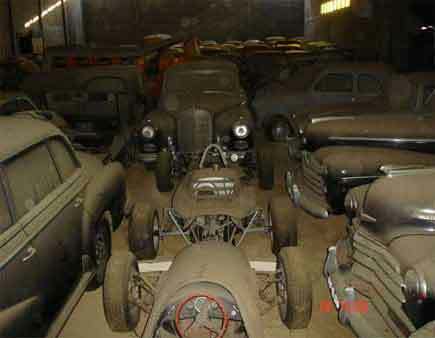 This is Photos of Old Car Collection Found in Portugal Barn.A New York man retired. He wanted to use his retirement money wisely, so it would last, and decided to buy a home and a few acres in Portugal. The modest farmhouse had been vacant for 15 years; the owner and wife both had died, and there were no heirs. The house was sold to pay taxes. There had been several lookers, but the large barn had steel doors, and they had been welded shut. 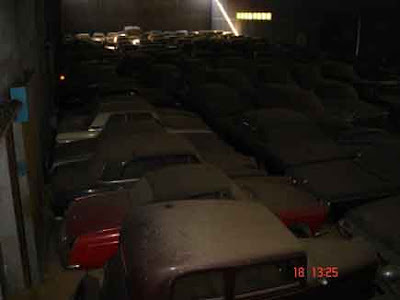 Nobody wanted to go to the extra expense to see what was in the barn, and it wasn't complimentary to the property anyway... so, nobody made an offer on the place. The NY guy bought it at just over half of the property's worth; moved in, and set about to tear in to the barn - curiosity was killing him. So, he and his wife bought a generator and a couple of grinders... and cut thru the welds. What was in the barn? Don't miss it!